The lust for veggies continues. I'm embracing it. I mean, as a coworker pointed out yesterday, there are worse things I could crave. At least it's not bacon. Or crack-cocaine. In service of that, I decided the other day to look around for some cookbooks featuring vegetables, and I had an epiphany of sorts concerning the way we eat in this country. Those of you who already eat decently, bear with me. I'm in new territory here. I knew what I wanted, almost precisely. I could picture it. It would be just like certain cookbooks I already own, the ones with a big, colorful, glossy close-up shot of a bowl of pasta or a Frenched rib roast. 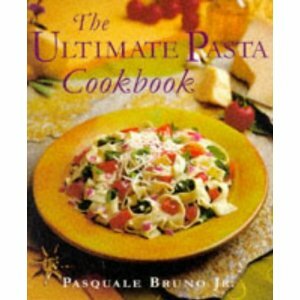 The ones with titles like "The Beef Cookbook," or "365 Days of Pasta," except this one would be "The Joy of Vegetables." I was excited about the idea of looking through a big shiny book of veggie dishes, getting ideas for new and exciting dinners. So I took myself off to the bookstore with high hopes. I knew that the cookbook I sought not only existed, but was likely to be sitting on a shelf in pride of place, being gorgeous and glossy and tempting next to its meaty and starchy compatriots. Yeah, not so much. You have moral or political objections to eating meat, and are eating healthy sort of by default. You have a chronic or terminal illness, and are eating healthy in a last ditch effort to be cured. The kind of thing I found. It really made me think. Why don't we just eat vegetables because it feels good? Or just because it's tasty? Like, before we end up in a doctor's office? We spend so much time in this country (and, to be fair, in most Western countries) perpetuating the idea that children who eat their vegetables are "good" children, and must be rewarded for performing this onerous task. Then we grow up and hey! We don't have to eat those nasty sprouts anymore! So we don't. But I wanna. Is that weird? Apparently so. I just reread that last paragraph, and it sounds preachy as hell. I'm sorry. But the point still stands. I'm not saying there aren't excellent cookbooks of just the sort I was looking for; there absolutely are, and I've ordered one (Vegetable Love, by Barbara Kafka) from Amazon already. The point isn't that they don't exist, it's that they apparently aren't sought after enough to show up in a bookstore. Instead, we get food as a prescription, the inference seeming to be that of course you'd rather eat a pizza, because who wouldn't? I'm not saying for a second that it's not important for there to be cookbooks designed to help people with serious health problems. I just think it's telling how many of them there are, as compared to books that offer food as not a joyful and fun pursuit but as a teaspoon of cod liver oil to cure what ails you. You make a very valid point. Foods of all types have their own particular "joys," and it's unfortunate that there's not a cookbook market for them. 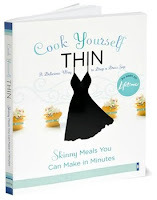 I find it especially depressing that most of the cookbooks available for people who are in their "last ditch efforts" forget that eating IS an enjoyable experience. I think this is probably why most diet plans fail. Well, Lynn, I think there's only one solution: You need to write a cookbook! I have a cookbook that is designed for gardeners that has recipes that are based on specific vegetables. It is actually pretty nice, and I have used it when I harvest a lot of something at once. I'll bring it in tomorrow. It's sad that the best books about cooking vegetables are for gardeners though, because if you are gardening you usually only plant veggies you know you will want to eat. Dude, I'm searching the interwebz until I find something like "365 Days of Queso" or "Cheeseburgers and Fruit Snacks: Diet of Champions." When the books arrive, I shall begin your intervention. In all seriousness, the state in which you found the cookbooks is telling about the regular diets of the Western world. Me included. Erin, I'm considering it. Mostly because since my weird veggie lust began, I've been making up all kinds of stuff to feed myself. Lora, please do bring that book; I'd love to get some new ideas. DeAnna, if there isn't a cookbook called "Cheeseburgers and Fruit Snacks: Diet of Champions," I think it is contingent on us to create one. I've got it covered...you know the general trend of my diet. I will be the new Julia Child to whatever odd segment of foodies buys the book and follows it religiously. Or something like that.